The realms of martial arts and poker are surprisingly well connected with each other. Full Tilt Poker used to be on of the major sponsors of the UFC before the Black Friday ruined that relationship. Some of the more famous prop bets in poker history involved players beating the living daylight out of each other. Theo Jorgensen defeated Gus Hansen in a boxing match, Lex Veldhuis head kicked Bertrand 'Elky' Grospellier during their kickboxing bout, and Olivier Busquet transformed himself into a scary muscle monster in order to best JC Alvarado in MMA cage match. There's also Terence Chan who found success in both high stakes poker games and mixed martial arts. Unfortunately, while the popularity of MMA - particular the UFC brand - seems to be increasing on a daily basis, online poker hasn't exactly enjoyed the same kind of success in the recent years. Nonetheless, a rising tide lifts all boats and a short UFC promotional clip that was posted recently on Alistair Overeem's Twitter account shows that fighters affinity for card games is still alive and well, which might bode well for the future of poker. 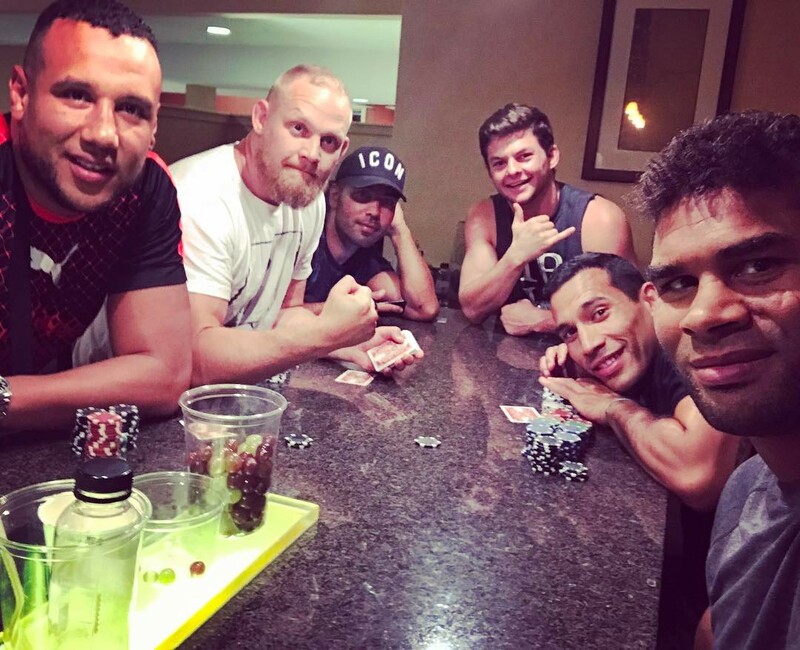 "Poker is Like Fighting Except You Get to Bluff"
The clip tweeted by Alistair Overeem features him and his friends - including another famous MMA fighter Siyar "The Great" Bahadurzada - having a grand old time playing some small stakes poker. Fighters describe the game as a great way to unwind and relax, after a strenuous training camp, while doing something that shares some small resemblance to physical confrontation. 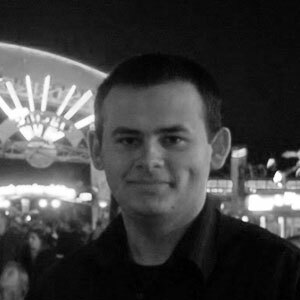 Siyar compares poker to fighting, pointing out the importance of strategy and intimidation and emphasizing the added complexity that bluffing provides. The words like 'fun' and 'good vibe' coupled with enthusiastic reactions of fighters are at the forefront of the video, painting poker as incredibly enjoyable past time for the competitively inclined people. 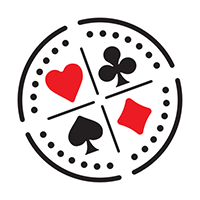 Poker seems to resonate well with athletes and poker companies should take notice! PokerStars is already doing some good work involving sports personalities in their marketing campaigns (though it could be argued they're doing so at their core audience expense, which is something that they should definitely address) and it might be a great new direction for them to start including some MMA stars in their future ventures. Perhaps they could also reclaim FTP's position as one of the main UFC sponsors seeing as they now own the brand. And it's not just about PokerStars either, the pie is big enough for other poker companies and failure to capitalize on the potential increase in popularity that MMA can provide would be a real shame. Alistair Overeem - while a legendary and an accomplished fighter - is a bit past his prime and he still has almost twice as many Twitter followers as the biggest poker room in the world, which certainly puts things in perspective and shows how big of a deal one minute poker themed video posted by the right person can be.